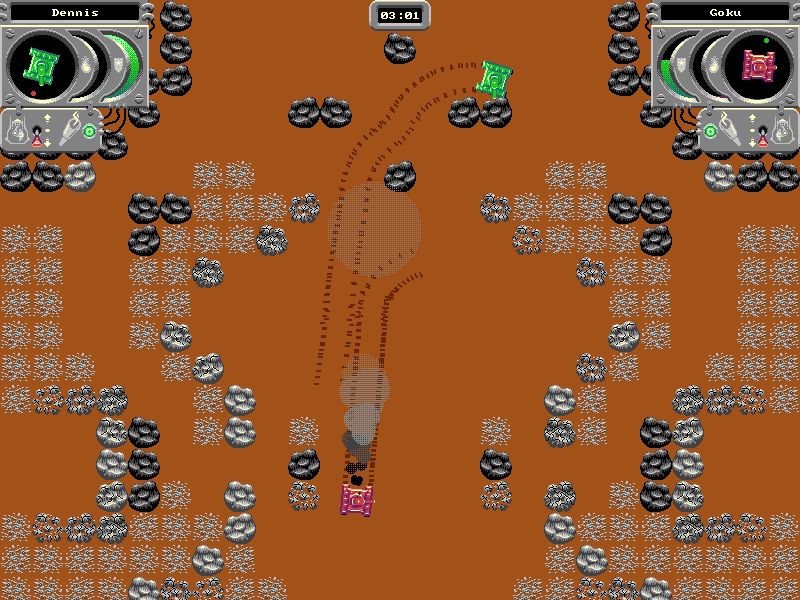 TankGame is a simple realtime tank battle game for two players (simultaneously playing at a single computer). Features eight default maps, user definable maps(see maps folder inside the game dir), minimalistic pixel art and oldschool sound effects. Invite your friends to your computer for some good old one on one combat.